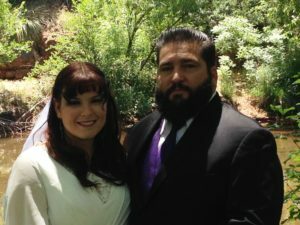 On beautiful Spring Saturday morning, Jennifer and Anthony got married Creekside at Los Abrigados Resort & Spa. It’s a beautiful location — an oasis of lush greenness in Oak Creek’s riparian corridor. The ceremony ended with the bride and groom doing a first dance — a beautifully ritualized expression of their relationship. It was a magical morning! 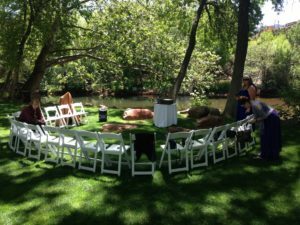 As a Sedona wedding officiant, I feel truly blessed to both facilitate and experience these kinds of lovely experiences, in beautiful places. I love my job!